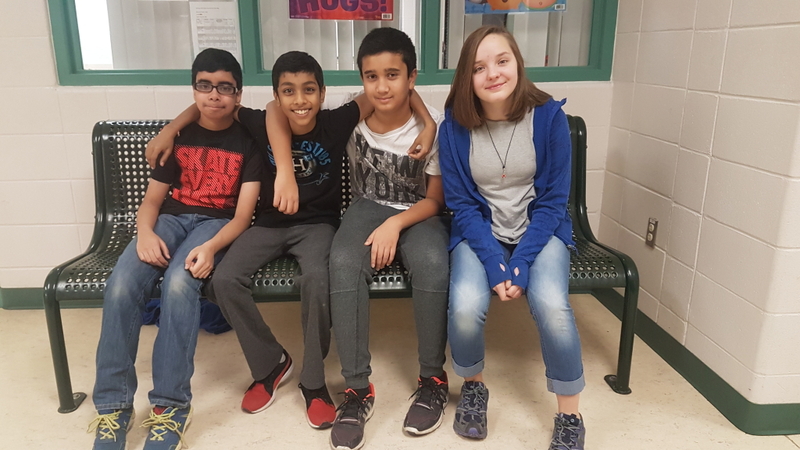 Fort McMurray junior high students Chintan Desai and Krish Shah aren’t your everyday 14 year-olds. After wildfires ravaged the area in 2016, the pair—who had already been part of the RM of Wood Buffalo’s Green Teen program—wanted to do something to help replenish what nature had taken away. The result was Eco YOLO: Eco, for the environment, and YOLO, because you only live once, so protect the planet, explain the teens. The student-run environmental group that would meet weekly at Ecole McTavish Junior High, had a not so simple goal of engaging city youth to replant trees lost in what became the largest natural disaster in Canadian history. That event burned 590,000 hectares of forest and affected some 88,000 people who lived and worked in the region. In the Spring of 2017, a core group of 11 determined Eco YOLO members enlisted the help of likewise dedicated teachers to recruit over 200 city youth to plant 1,650 young trees at Saprae Creek in the RM of Wood Buffalo. It took passion and commitment to not only learn about protocols in planting the ‘right tree in the right place’, (low moisture deciduous trees and conifers that resist spreading of fire) but also in finding local and national corporate sponsors to finance the project. Eco YOLO received over $17,000 in project funding from Chevrolet Canada, Intact Insurance and local sponsors.